Imagine you’re a general manager. Would you give up a first-round pick for P.J. Tucker’s expiring contract? The Phoenix Suns are hoping so. Even though the Los Angeles Clippers, as of now, won’t. 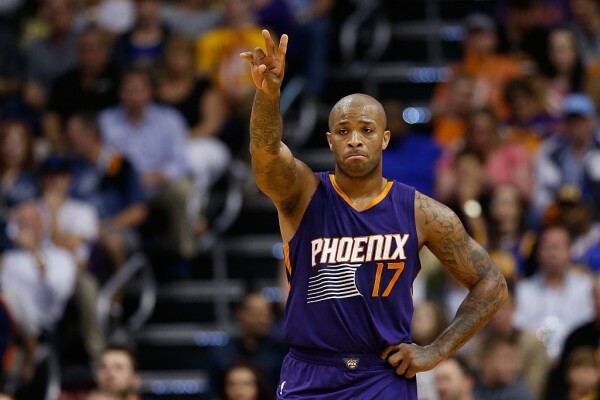 The Clippers have offered a future second-round pick for Suns forward P.J. Tucker — who is said to have a not-so-secret admirer in Doc Rivers — but sources say Phoenix is holding out for a first-rounder in exchange for the rugged defensive specialist. Tucker wouldn’t be a bad fit with the Clippers. His defensive value can be wonky, but at 6’6″ and 245 pounds he has the girth and mobility to hang tough with opposing 2s, 3s and some 4s. He would work nicely in the starting lineup or off the bench, especially if the Clippers are over the Wesley Johnson era. It’s unclear who the Clippers would pair with that future second-round pick to get Tucker. They don’t have the salary to absorb him outright, so they would need to send someone like Wesley Johnson back in return. But it’s a moot point if the Suns want a first-rounder. Clippers coach and president Doc Rivers cannot deal anything earlier than 2022 first and, more importantly, has no business forking over first-round goodies for an expiring contract when the futures of Chris Paul and Blake Griffin, both free agents this summer, are so uncertain. Chances are the Suns’ asking price eventually falls, since it’s difficult to parlay expiring role-player deals into first-round picks this side of the salary-cap boom. Teams want cheap talent, and keeping their first-round picks is a way of getting them. It’s more likely Tucker stays put or the Suns, knowing he’s a free agent, move him to a contender or fringe contender for whatever they can get in the 11th hour.